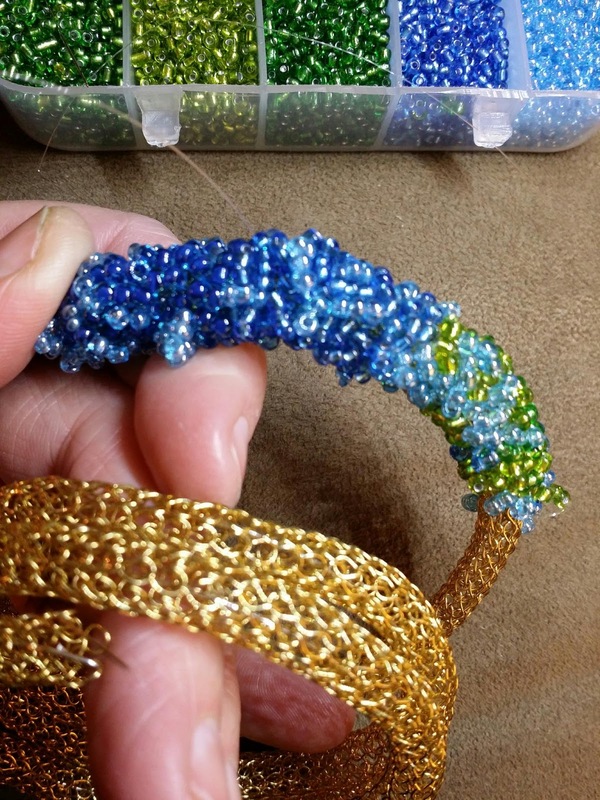 Hi everybody, I am working on a beaded snake bracelet that I made with a mod to the 4 loop Yoola ISK loom. 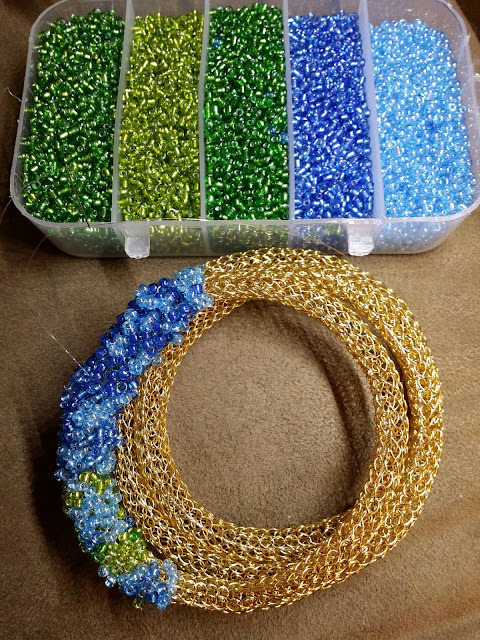 I started the wire but on the second row I added stitches between the 4 loops to create a total of 8. 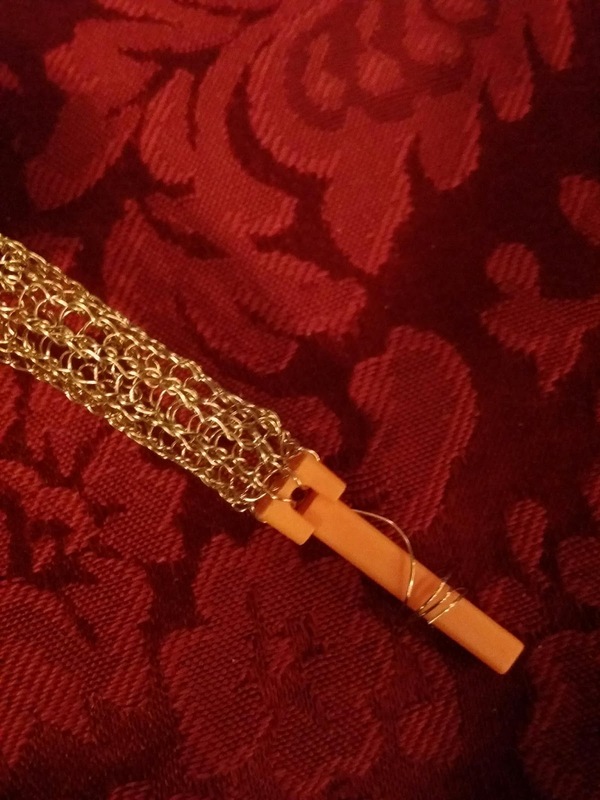 I added memory wire within the brass crocheted tube to keep its coiled shape. 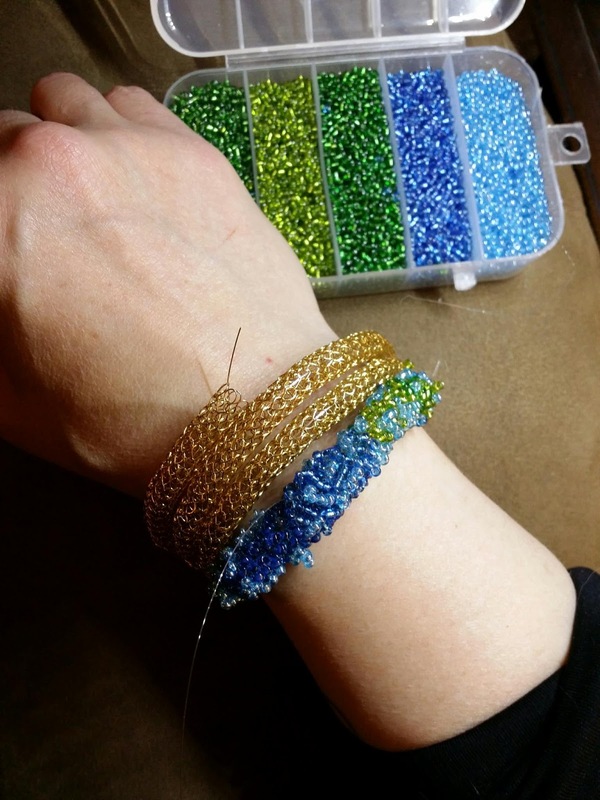 Using size 11/0 beads. I think I should add a heavy gauge brass wire instead of memory wire.